KUALA LUMPUR — MIC has confirmed that it will not contest the Port Dickson parliamentary by-election. 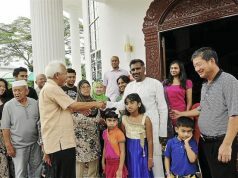 Its president, Tan Sri S. A Vigneswaran, said the decision was made following several media statements made by UMNO leaders proposing for UMNO to field its candidate at the soon-to-be-held by-election despite the fact that MIC had held the seat, formerly known as Telok Kemang, for four consecutive terms before losing it to PKR. 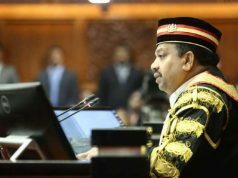 He claimed that UMNO deputy president Datuk Seri Mohammad Hasan and vice-president Datuk Seri Mohamed Khaled Nordin had indicated that UMNO would be fielding its candidate to face PKR de facto leader Datuk Seri Anwar Ibrahim. “We will not interfere because the decision should be unanimously made by B​​​​​​​arisan Nasional (BN) and not by UMNO through its media statements. “Since UMNO has made its decision, then let them do what they want. We are abstaining ourselves from the by-election,” he told reporters after attending the MIC Central Working Committee meeting here today. 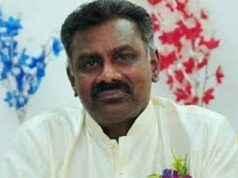 The Port Dickson parliamentary seat fell vacant after incumbent Datuk Danyal Balagopal Abdullah tendered his resignation to make way for the PKR president-elect to contest and return to Parliament. Previous articleகிம் கர்டாஷியனுக்கு பெராரி கார் வாங்கித் தந்த ஜோ லோ!